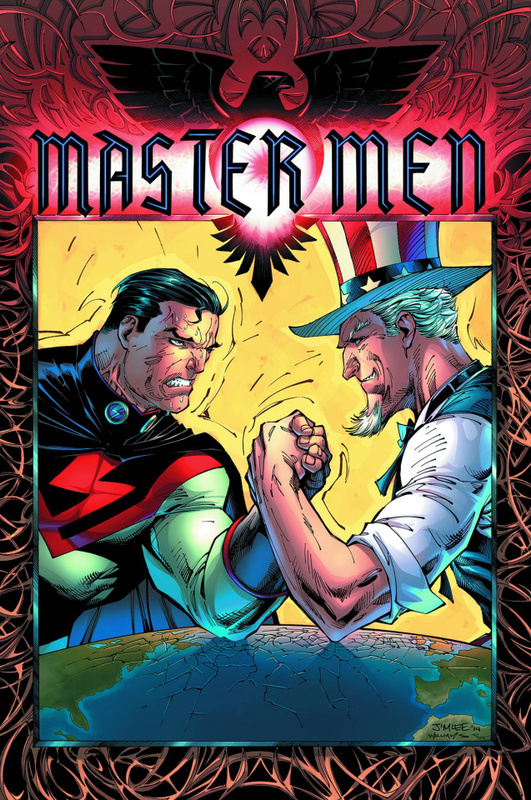 Superstar writer Grant Morrison joins legendary artist Jim Lee on Earth-10 for one of the most dynamic, action-packed issues of this entire world-shattering series - THE MULTIVERSITY: MASTERMEN! Imagine a world where the Nazis not only won World War II but went on to direct world culture for the next 60 years with the help of an orphaned, alien super-weapon known as Overman! But hope is not lost! Rising from the ashes of oppression are a diverse band of heroes raging against the fascist regime - a band of heroes known as THE FREEDOM FIGHTERS! What nightmarish parallel worlds haunt the dreams of Overman? Who is the mysterious figure called Uncle Sam? And when the dust settles, will the actions of Phantom Lady, Black Condor, Human Bomb, Doll Man and The Ray be enough to stop Leatherwing, Blitzen and the other "heroes" of Earth-X? Learn all this and more in this exciting issue that acts as chapter seven of the critically acclaimed MULTIVERSITY storyline.